Medical professionals have spent many years trying to study the causes and effects of asthma on a variety of adults and children. Over the many years of scientific research the medical profession has come up with two main categories of asthma. One is the extrinsic which refers more to an allergic reaction to something within the environment and or food source. The other category is the intrinsic which does affect about ten percent of the mass population. This intrinsic type of asthma usually develops at or near the age of thirty and the medical community is still perplexed as to why this occurs. Sensitivities to the chemicals in the environment and certain foods will trigger the same reaction so this is difficult to pinpoint if it is a reaction to actual lung function from asthma or if it is sensitivity to the environment or a particular food. Foods today, such as the fast foods are not as wholesome as many may think and that it could be from a chemical reaction caused through the processing of the food. Processed food items which are found in the grocery store may also cause a reaction such as gagging, choking, wheezing and an overall reaction causing the bronchi within the lungs to swell and choke off the channels for air flow. Asthma is a silent affliction that affects everyone from all walks of life and at any age and this is why it is such a concern to the medical community. 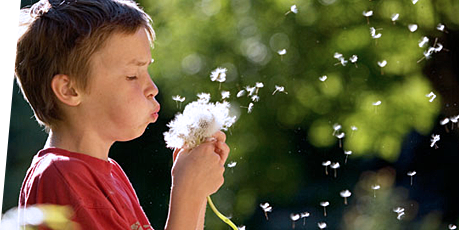 Some of the asthma reactions are environmental and some of it is from a genetic disorder. Distinguish which one is which is difficult until the individual’s exposure to the proper diagnostics. There is a difference between an asthma attack caused through an allergy too and this complicates the diagnosis. In any event the medical community agrees this is a bronchial condition of the inflamed bronchi. The cause is what causes difficulty in diagnostics. The most obvious trigger seems to come after a major respiratory infection and the bronchi within the lungs never really heals and returns to the normal state as before the respiratory infection set In children under the age of two presents another difficulty for the family medical pediatrician because it is very difficult to diagnose with any sense of accuracy. The cause of asthma setting into children of this age is often from an infection to one of many infant diseases. The asthma guidelines suggest that even when this childhood asthma clears up there is a high probability that in older years it will re-emerge out of no where. Avoiding all of the many dairy products such as butter, whole milk, eggs, cheese and replace this with alternative food more palatable to the delicate system such as skim milk and rice. Adding alternatives to the daily diet like rice, skim, or soymilk. Also add rice cakes, corncakes, oats, and all products made of wheat because these help keep the mucus level down. Bananas are one of those tricky foods because although they are not good for the individual suffering with the symptoms of asthma, they are a good source of potassium which the body requires daily.